Lucaris, the Crystal of Modern Asia, celebrates the new Asian dining & wining lifestyle. 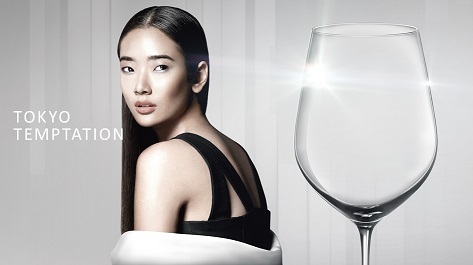 The first time in Asia that crystal stemware is produced to deliver international quality, for the most enjoyable dining & wining experience. The designs of Lucaris crystal ware are inspired by the lifestyles of major cities in Asia: Bangkok Bliss, Tokyo Temptation, Shanghai Soul etc. Bangkok Bliss: the series captures the sense of this eternal city with time time-honored classic design harmonized with easygoing elegance. It is intended for laidback gatherings and chic casual dining where a sense of style is essential. Tokyo Temptation:This breathtaking metropolis inspires Tokyo Temptation series, a contemporary version of a classic design intended for modern upscale dining where panache and form ality are to the fore. Shanghai Soul: inspired by this incredible flamboyance of Shanghai. It is the definitive stemware range that meets the highest sommelier standards. The art of vinification goes beyond traditional mastery. It's the affection, that brings wine lovers, and glassmakers together to co-create an exquisite crystal stemware. 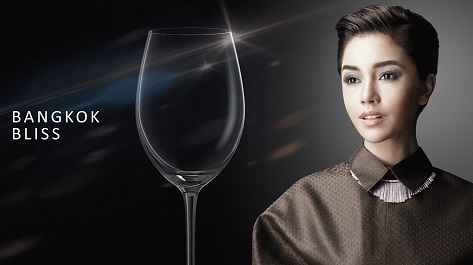 Every single glass is uncompromisingly clear and brilliant, co-designed and co-created by Lucaris and the Hong Kong Sommelier Association - Greater China. Aerlumer- the bottom curl lines at the bowl makes for an unprecedented appreciation experiences.